When I look at Fairytale Kiss and the content I create on my blog, I am always looking to grow and expand. 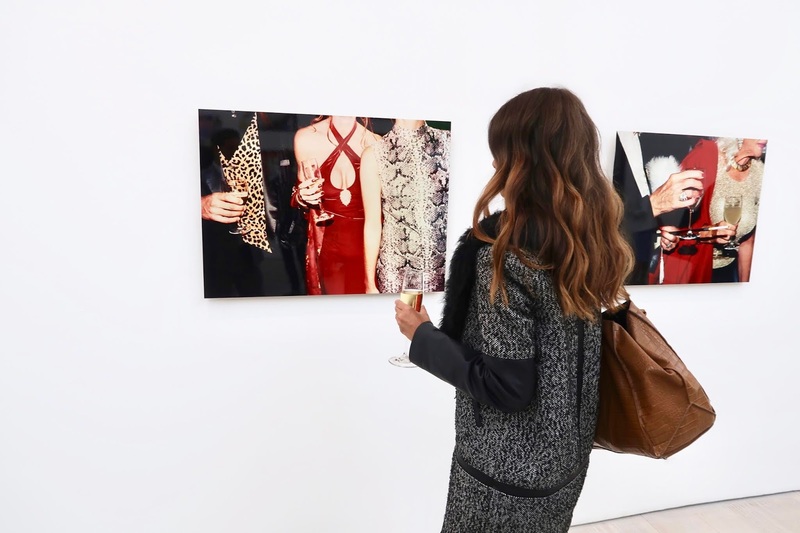 I have always wanted to include more lifestyle events and after visiting an art show in June, I was absolutely thrilled when the Saatchi Gallery invited me to a private preview of the Black Mirror: Social Satire exhibition. I was kindly offered a plus one and I was pretty excited that I could attend the event with Ollie. I think this needs a dedicated blog post on its own but I can't explain how helpful it is to be able to bring someone who can help with your camera and to give their opinion of the actual collections in the exhibition. Okay, I'm slightly drifting off topic here but on Thursday evening Ollie and I made our way to the Saatchi Gallery in Chelsea to attend the preview for the Black Mirror exhibition. This was actually my first time visiting the Saatchi Gallery, not only has it hosted famous fashion shows for Chanel and London Fashion Week but the building itself is simply breathtaking. We made our way to the front desk and were greeted with champagne as we arrived. We stepped into the first room and to be honest, I had no idea what to expect. My eyes were instantly drawn to the large VHS tape by the entrance. It was certainly reminded me of my childhood. My favourite collection had to be by contemporary British photographer, Jessica Craig-Martin. This particular collection caught my eye because of the bold outfits and glamourous backgrounds but as I started to look closer I could see what Jessica was trying to highlight. With most art, the meaning is all down to how you interpret things but I think the images are actually capturing and highlighting the dark side of Hollywood and New York parties from the 90's and the rise of the #MeToo movement.